I’ve seen a lot of west ham fans losing their minds over the current bad run of form and I’ll try and put an optimistic and more positive view on it all in these dark times. Firstly even in the very worst case scenario west ham lose the next 3 games, there is still 31 games left to turn it around and 14 wins are needed to stay up, less than half the games available. Secondly on his appointment Pellegrini and David Sullivan both said this is a 3 year project so we need to manage expectations better whilst MP tries to completely change the whole football club’s mentality from David Moyes’ and Bilic’s defensive and counterattacking football to that of one which is offensive and on the front foot. Wolves demonstrated they are a very good side by their draw (should have won really) with Man City so I won’t be too disheartened by that disappointing result. Wolves also have Patricio to thank making that game changing save from Marko, little bit of luck could have seen a different game despite a poor performance on the whole. As for the other games, West Ham never do well against Liverpool away (literally won there once in 50 odd years) and in my opinion a bit of better finishing would have beaten Arsenal away, which is a rare thing for us as well. I ultimately believe the games against Bournemouth and Wolves on the whole were lost due to individual errors, Ogbonna for Bournemouth and Sanchez for Wolves. Pellegrini ruthlessly dropped ogbonna from the league squad for that straight away and may do the same for sanchez who knows. Fabianski few good saves as usual to keep us in the game. Saturday we also saw the CB first choice partnership has been established as Balbuena and Diop, one of the main issues sorted, now the other areas of the side can be focused on such as the midfield partnership. 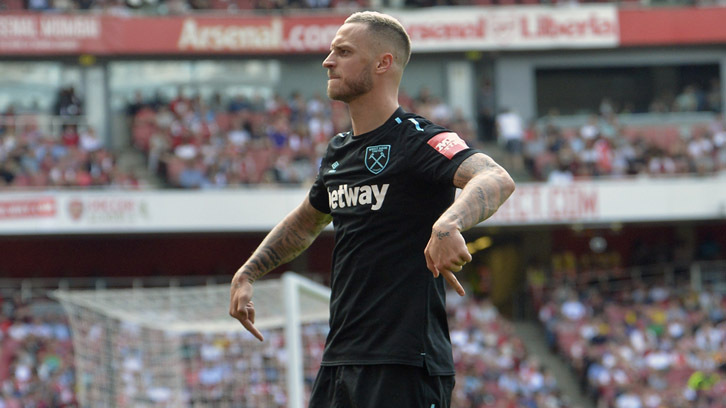 Obviously Pellegrini will make his own decisions but for the next 3 very tough games in my opinion Rice replaces Wilshire and Yarmolenko comes in for Antonio. I also hope Muskaku is fit again but that’s yet to be seen. I firmly believe Pellegrini will turn it around but the next 3 games are really tough and being honest nothing is expected, a real bonus if is achieved. MP now has 2 weeks until the next game to drill down these issues and hopefully we’ll see a difference. Until then, let’s unite as proper west ham fans like the old days and keep the faith!